It is Well with My Soul is a beloved Christian hymn from the late 1800's with text by Horatio G. Spafford and music by Phillip Paul Bliss. The words for this hymn were written after a series of traumatic events in Spafford's life, including the death of his son at the age of 2, the Great Chicago Fire of 1871, which ruined him financially (he had been a successful lawyer and had invested significantly in property in the area of Chicago that was extensively damaged by the great fire), and the loss of all four of his daughters in a tragic accident at sea. Learn more about the story behind the words. This arrangement for men's voices attempts to capture the feeling of internal peace that Spafford came to following these tragedies in his life, as well as his firm faith and enduring personal gratitude for the Savior. 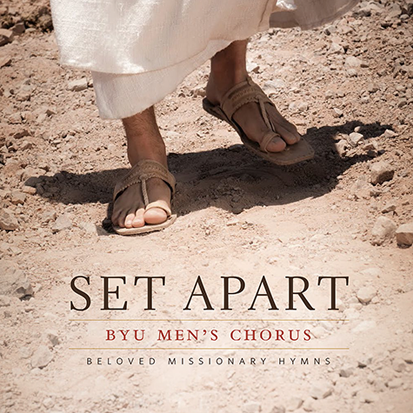 This arrangement of It is Well with My Soul was added to the BYU Men's Chorus Album, Set Apart on December 1, 2017. If you are interested in the more advanced version as performed by the BYU Men's Chorus, click here. Three other hymns on the Set Apart album were also arranged by Lane Johnson: Brightly Beams Our Father's Mercy, Onward, Christian Soldiers, and Sweet is the Peace the Gospel Brings. Click the links for more information about these hymn arrangements. Download the audio file free at Set Apart Album. Also available with Violin accompaniment rather than Clarinet. Contact Me to request this version.